Do you love something so much that after a few months without it you feel a void in your life? For me it is making terrariums. A moss terrarium was one of the first DIY projects I ever tried and blogged about. Then there was another terrarium, another, another, and another. Wait, there is more………….Ok you get the point. So while I was DIY’ing ornaments this year I kept thinking, “Why not a terrarium ornament? That would be so me!” When I spotted the perfect little container at Michaels it was a match made in heaven! A cute jar – Michaels – This one was $0.99, seriously! Any embellishments for your terrarium – I added 2 Holly berries and a small stick from the yard. Wipe the container clean and add small pieces of dried Moss, gently pushing them down. Carefully place the deer into the moss making sure that he is well anchored and doesn’t move around. Add the terrarium embellishments one after the other. Clean any dirt that might have stuck to the sides of the jar with a damp paper towel. Let the terrarium air out a bit so that all the moisture is gone. Now close the lid tight. Loop a piece of Baker’s twine across the steel connectors to form a hook. There…your masterpiece is done! I told ya, all in 3 mins! My other 12 Days of Christmas Ornaments: Santa Belt Ornament, Sunburst Mirror Ornament, Glitter Swirl Ornament, Cork Ball Ornament, Woodland Reindeer Ornament. 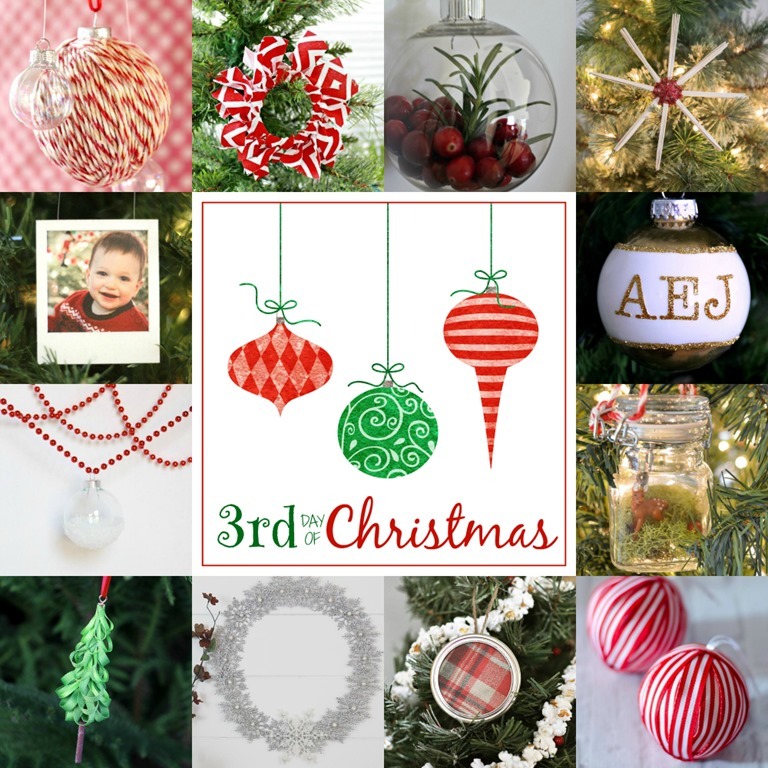 Do check out the other Day 3 ornaments of our 12 Days of Christmas series. I so wish I would have had this idea. =) I’m definitely going to be a copycat… Pinning and thanks so much for the inspiration! Aww…thanks a lot Ashley. It has been great crafting with you. I’m always amazed by your creativity. How sweet is this ornament? I love the little deer and moss! I so very much love your terrarium! On so many levels. First because it makes you so happy. And second it makes me so happy! Love this idea! And that little jar is the cutest!